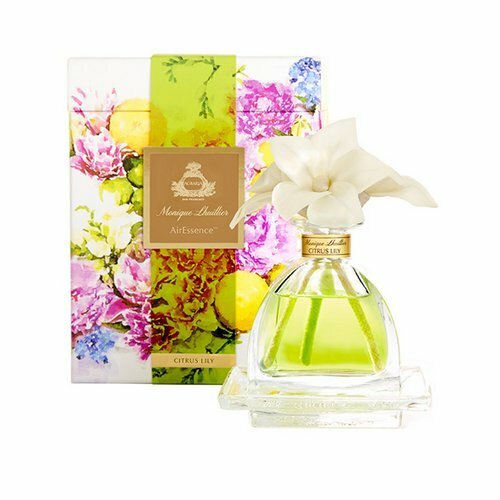 Agraria AirEssenceTM diffuses scent through a trio of sola flowers, a natural and environmentally friendly material. As the fragrant essential oils are absorbed through the cotton wick, the petals come alive with the color of the oil and the scent begins to diffuse. Bright citrus top notes from California lemons and Italian bergamot mingle into a lush floral bouquet of lilies, freesia, ylang-ylang, gardenia and jasmine. Indian sandalwood and exotic musks are folded in to create this boldly fresh and romantic fragrance.